The human brain is one of the most fascinating things in the universe. And this is held true by the book “Phantoms of the Brain” by neurologist V.S. Ramachandran. 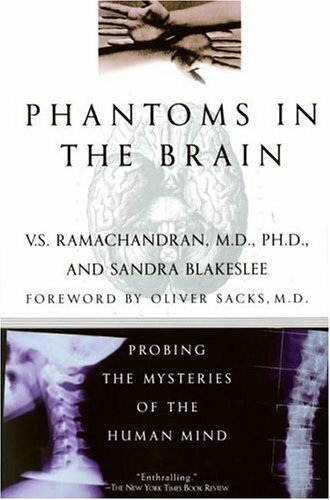 In this brilliant account of different cases on neurology, Ramachandran gives us a peek into the inner workings of the human mind — how we deceive ourselves, how we perceive our world, why we laugh, why we are depressed, why we could unconsciously be in denial of many unnacceptable things in our body and in our life and why we believe God. Many of the featured cases here are bizarre. His experiments are simple. But his deductions about brain function would just jump through you and will make you look at life yourself in a different way. It’s a witty and insightful book about many things we never knew about ourselves. And this is just one of those books that I would always remember for the rest of my life.